Do you want to increase your sales and revenues now? Are you looking for new ways to expand your direct sales business? 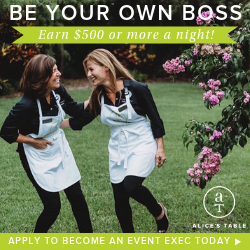 Would you like to recruit new consultants to help you sell more products than ever? If you answered yes to any of these questions, then you have come to the right place! We have an amazing opportunity for you to grow your business and start increasing your sales and revenues starting today! At over 110,000 pageviews per month we have targeted traffic visiting our website specifically looking for new home party business opportunities just like yours. With the use of our services, we will help you grow your direct sales business and recruit new consultants now! We understand that direct sales businesses require strategic marketing to build your team with qualified consultants. That's where we come in! We are the number 1 authority in direct sales opportunities and we offer several advertising options for you to get the exposure you need and achieve your business goals. Our advertising options include banner ads, in post text link ads, and we now offer email solo ads. We offer the most affordable advertising rates and provide the most effective services with high quality leads to help you expand your direct sales team today! Our banner ads are extremely effective and will be featured on every page! Leaderboard and sidebar ads are available. Banner ads are the most popular ad choice and have high visibility on the website. This is an amazing ad option because it allows you to link your consultant website or personal blog within your company's opportunity overview on this site. This increases your conversion rate and also helps to drive more traffic directly to your website. We have several “best of” posts that receive good traffic month after month. Have a link to your consultant website included in one of these popular posts for maximum exposure. These links are only available on an annual basis. Our latest ad option is the email solo ad, which allows you to send personalized emails to targeted leads. This option is extremely effective when you are promoting a recruiting special and looking for new consultants to join your team. Sponsor your company's listing in our directory to have your consultant information shown on our most popular page. Based on your business needs, we can help you determine the best advertising option for you to get maximum exposure and help you increase your sales and revenue today. Also, if you sign up for a 6 to 12 month sponsorship, you will receive additional discounts off of your purchase. As a bonus, you will also receive Facebook, Twitter, Pinterest and newsletter publicity just for being an advertiser with us! What are you waiting for? Order one our advertising options now to start getting more exposure and increase your sales today! To contact us, click the Contact tab at the top of the page or email >> angie (at) thebestdirectsalescompanies (dot) com. I am super excited! I already had somebody contact me from seeing my ad on your site! I am totally impressed! Will I be the only consultant allowed for my company? Only one rep from each company will be allowed per ad placement at a time. When will my ad be live? All ads require approval. Once approved, you will receive an email to make payment prior to your ad being posted. Payments can be made by PayPal or credit card. No checks, please. This is an automated process and should take no more than a few hours during regular business hours (7am – 5pm Central Time Monday – Friday). If your purchase is made outside of these hours, please allow until the next business day before contacting me. Unfortunately, because we are offering an advertising service we cannot offer refunds. How Do I Cancel My Recurring Payment? Click My Money, then click Update beside My preapproved payments to find your payment. This will cancel all future payments. Please perform this action prior to your monthly billing date as refunds will not be issued. I Still Have Questions. Who Do I Contact? Please feel free to contact us through this page.